I was so ready to pre-order this game XD I love it so much, and I can't wait to finally get it!! I love your game! And the charecters are just amazing! Can't wait for it to be fully released :D Are you considering of making an alpha or beta versions avalible to play? Hello! I wanted to ask how much different do you think beta version will be compared to the final version. Do you plan on making any updates on the 'friendbook' or any extra content or events for any of the routes? Em no, in beta you play for like full year really. My poor MC always ends up as a forever bottom anyways XD So I'll be waiting patiently for a new version. Thank you so much for your hard work!! 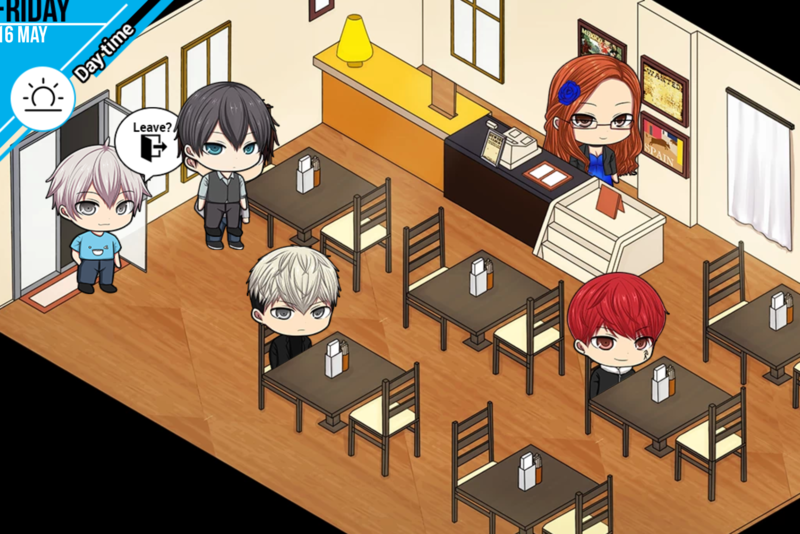 For me too, it is impossible to get Shuu's confession scene while having full charts and spending every single day with him, even on Friday, where he is glitched into Shiba and you can't see him unless you enter in the restaurant. My April fools day scene also never showed up. Hello. I got game beta of version 55, but I can't open it on my MAC. What should I do? So, I got the newest version of the beta, and I wanted to ask if it is possible to give Valentine chocolate to Shuu. On Twitter, you said that in the 1.05 version it possible to have a confession scene with Shuu, but I cant give Valentine chocolate to him or meet him anywhere else except his apartment on Monday and Wednesday. Is it supposed to be like this and will be able to spend time with him more often after Valentine's day? (Sorry I'm not sure if it's a bug or no, and if I should write an email about this or no). Hello! I pre-ordered the game a month ago and I am interested in getting the beta. If I will buy the game again, can I hope for getting the beta?